Institutions such as schools, hotels, and other commercial property need high quality, softened water with great aesthetic quality to ensure the happiness of their patrons. 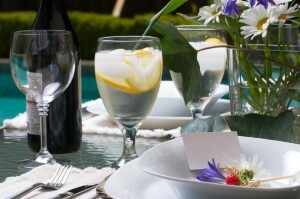 Using our proprietary sizing programs, we can use the provided water analysis to recommend a system that will ensure your guests are drinking the freshest, cleanest, best tasting water, and the dinnerware is spot-free. For institutions with tight space constraints, ECI’s products can be customized to fit in smaller than normal areas so no building modifications are necessary. ECI is a premier provider of water treatment solutions for institutional applications.